We’ve been seeing little hints of spring around here and I can’t help but start to decorate for the warmer temperatures. Around here that means adding lots of greenery and fresh flowers. If you are looking to switch out your winter door decor for a fresher look, here is an easy craft anyone can do. 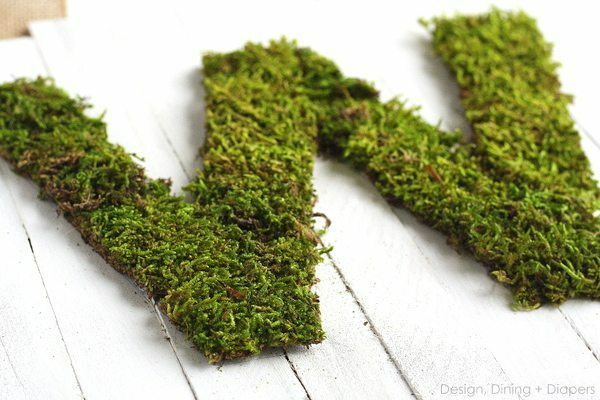 Today, I’m sharing a tutorial for this Moss Monogram Door Sign For Spring. I’ve made a few different versions of this mini pallet sign made from wood shims, like this Valentine’s Day Pallet and Easter Pallet and now here is a print version! I tend to lean towards more non-traditional door decor. While I love a good wreath, I also enjoy unconventional decor ( like my Christmas Twig Wreath). And I think this definitely fits into a the more unconventional category. But if this isn’t your type of door decor, try placing it on a mantel or in the kitchen! 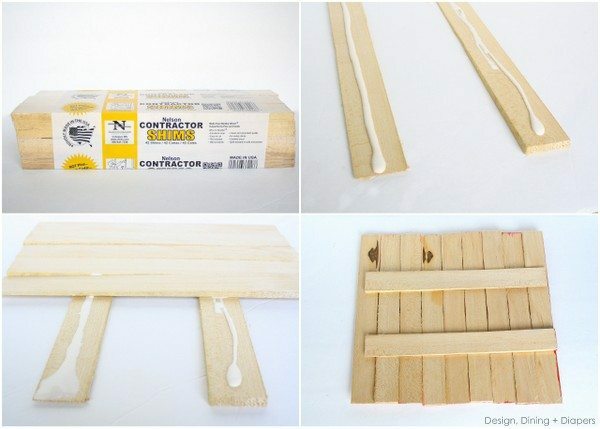 Start by removing the Wood Shims from the packaging and laying two shims side by side. 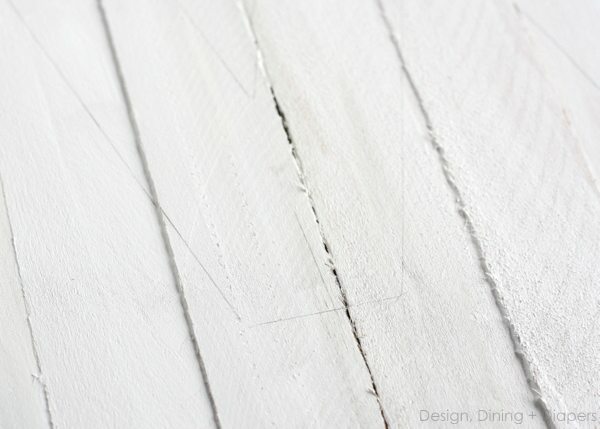 Place a line of Gorilla Wood Glue down the middle of each shim. Carefully place the shims on top of the two base pieces. Note* shims are not even, they have a slight angle to them, so be cautious of the difference in the thickness. For my first pallet I rotated the sides to create more of a rugged look and with this projects I kept the shims at the same angle to give it a cleaner look. Next, I used my Silhouette to cut out my monogram and then traced it onto the pallet. This was my first time working with Preserved Sheet Moss and it is really easy! I used a pair of basic scissors to cut strips the same width as my monogram. I had it pretty easy since a “W” has very straight lines, which made this project really easy to complete since I didn’t have any corners to work around. 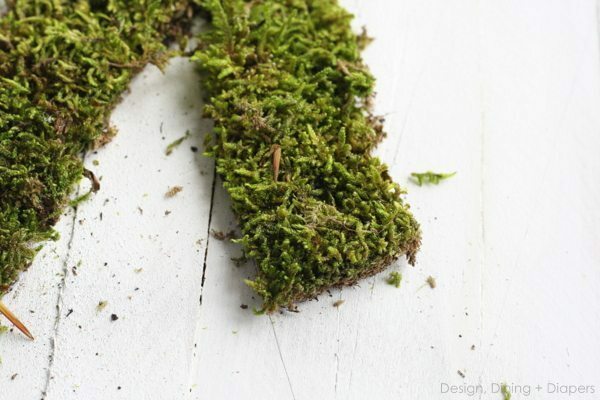 The moss was very easy to cut and easy to shape. I hot glued each strip in place until the entire “W” was filled. And if there were any gaps, I just pulled off a tiny piece of the moss and glued it in place. Moss is very forgiving and everything blends in the end. My kind of project. To top things off, I took some 3″ Burlap Ribbon and stapled it onto the back of the pallet to create a hanger. 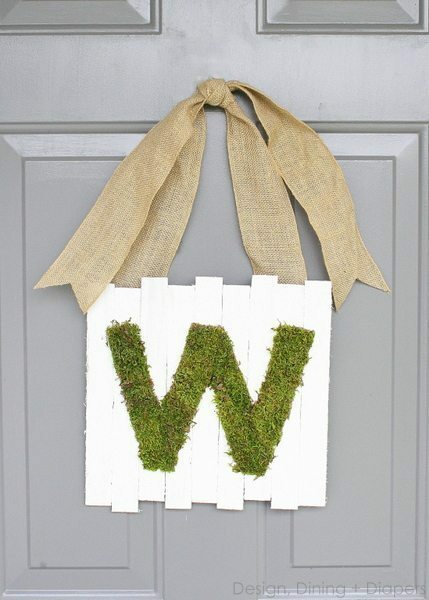 I could even see doing this with a cirlce of moss on top and then a bright letter in the center. Phhh I think I have a new project for this weekend! You did such fab job, I can’t wait to try my own! love this Taryn. So simple and elegant! This turned out so pretty! I am pinning it so I can give it a try this spring.Thanks for sharing how. This is such an eye-catching piece; the contrast of the green moss and white boards is just stellar. I’ve never thought about working with moss before, but this has me inspired to try it. And I’ve got a Silhouette Cameo, so that makes the monogram shape really easy. I love this… I was just thinking of doing something similar to it the other day, but I don’t have sheet moss…just the bagged kind. I’m thinking I’m in for quite a messy project. Yours turned out adorable! I love the burlap hanger for it too. So very clever. Thanks for sharing. Taryn, you are seriously the bomb. I love your blog so much–and I have never been a blog person or followed anyones “blog” before. I love your style! And then, I find out your in Seattle!? me too! And a stay at home mom!? Me too! Crazy! I hope to run into you one day at a park or something when your out with Miss E! I am also crazy about your shim project and now want to do the moss one!! My 3 1/2 yr old son, Roarke, and I made the bunny one! We went to Lowes together, got the supplies, painted it and hung it up! He is so cute…he calls it the “cable project”. It doesnt make any sense, but to a 3 1/2 year old, he really thinks he knows what he is talking about! I have a ton of your stuff pinned onto my pinterest page too and have been inspired by so many of your projects! Just wanted to say hi and how much I enjoy your style, creativity and ideas! Thanks! Quick question, where did you get the moss? Craft store? Im just still trying to figure my own design out. Thanks lovely! Stopping by from the TT&J link up.. Hope you’re having a wonderful evening! Hey! LOVE this! Where do u get your ribbon from? Thanks! Oh my! What an adorable little sign. Such a great alternative to a wreath! And I like how the craft stick look like miniature pallet boards! What a beautiful door sign, Taryn! I am a sucker for anything with a monogram, and this is just perfect for spring. I found you at Lil’ Luna–thanks for sharing! Great monogramed door sign. I haven’t had the best luck making wreaths I’d like to hang on the front door. This is a fabulous substitution! It looks classy and clean…which I love. Thanks for sharing!!! 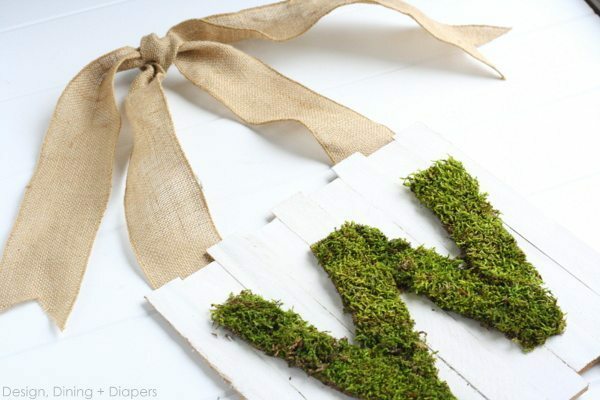 Love, love, love your moss monogram door sign. I’m featuring it today! this is so adorable. 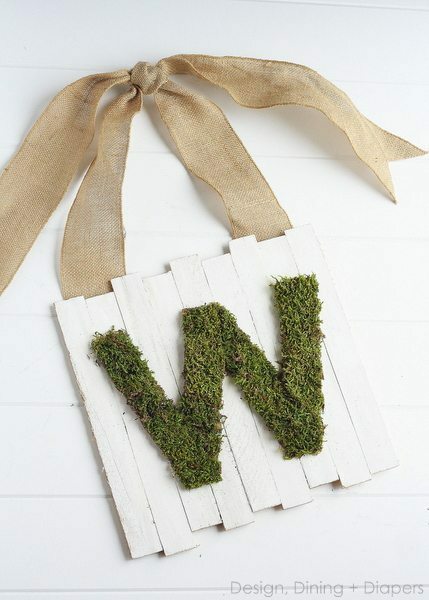 and my friend’s last name starts with a “w”…so I think I will make this for her. Then try one for me. but mine has a curve..hope it looks as good! I really love this! And, it’s inexpensive, too.. Now, when I need something new for my door, I know what to make. HI Taryn Boy the weeks are flying by aren’t they? Pretty soon you’ll be showing us your wonderful new baby, can hardly wait.
. We have all kinds of pallets but unless I ask for the boards he’s prised off somebody else uses them. Think I’ll have to get myself a pkg .of those shims. Want to hit Lowe’s anyway so I can see what they have on reject paint shelf. 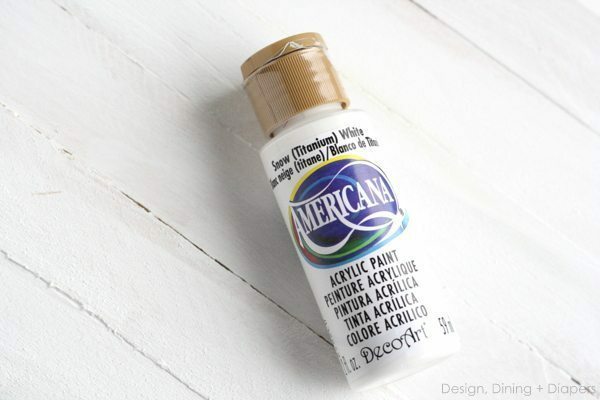 I’ve gotten several of their paint sample jars for $1 on several occasions, gotta like that. I also noticed how many different, varied, wonderful kinds of burlap ribbon they carry close to the wedding/botanical section besides what they have in the ribbon section by fabrics. I only buy the burlap and/or burlap ribbons when they’re on sale. Like the 50 %off much better, then I can buy twice as much. Hope the time flies by for you waiting for your new baby. How is Miss E taking it all? Love the moss and especially the wood shim backing! You are one of my features at this week’s Merry Monday party. Pinned. Thanks for partying with us. Hi Taryn, Never did get that monogram made from 2013 but am going to get more and better moss tomorrow. 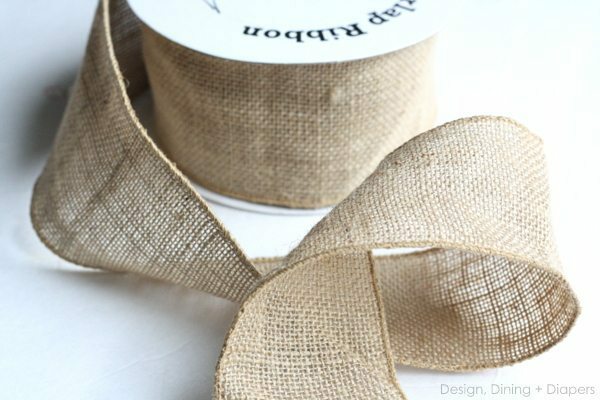 Have different varieties of burlap ribbon. Think will make this on a faux metal ceiling tile have had since we lived in KT. Was going thru craft mess and found several so will make do with tile instead of wood background. One is painted white so will work out. One thing have learned is not to buy cheap moss for projects like this, quality works and turns out so much better. 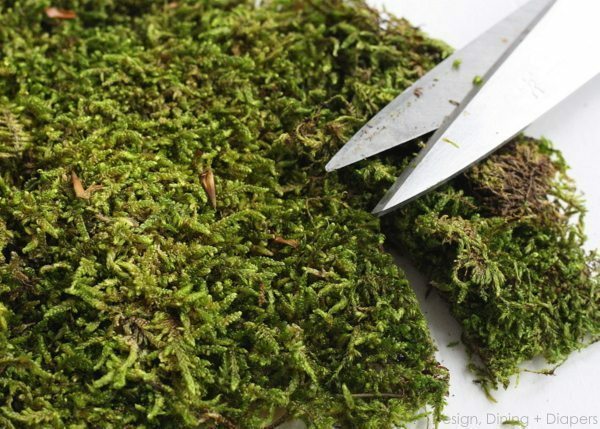 Will make a cardboard J to glue moss on. Not as easy as W.
Will be making moss candle cover also, are inspiring me so much. Didn’t know was such a thing as moss ribbon. Your blog is wonderful, gets better all the time.